« We knit …. We sun …Janie, Susanne and Diane.Saturday knit group meeting at Katie’s new digs in Walniut Creek. Thanks for lovely morning! Hard to believe…needles have been quiet! 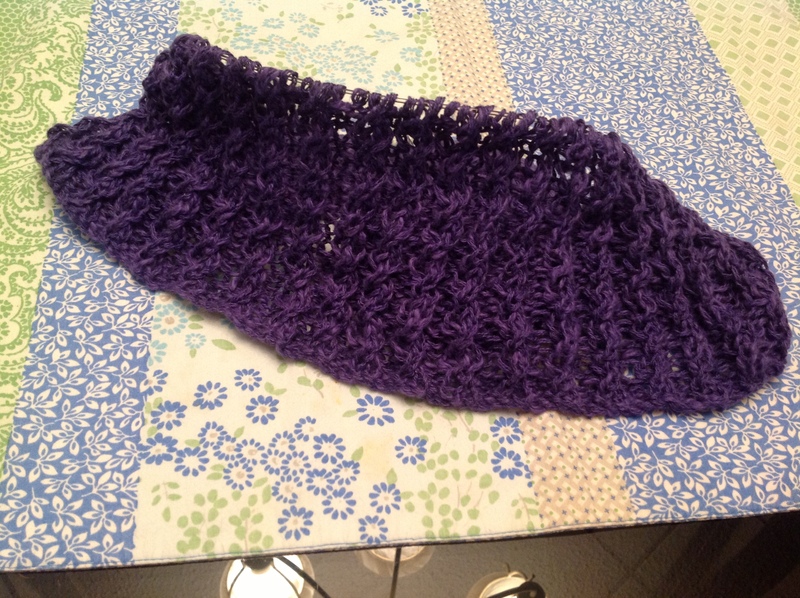 Just before I headed off on a week’s vacation, I had knitting “startitis”….most of you know I have more than a few projects in the works but I was overcome with the need to start a new one…a shawl type poncho knit with MaggiKnits Linen in purple. Here’s a preview of the beginning of this project that I have not been able to pick up during this vacation. It’s been in the high 80’s as well as I am having too much fun being a tourist and visiting with my cousins. 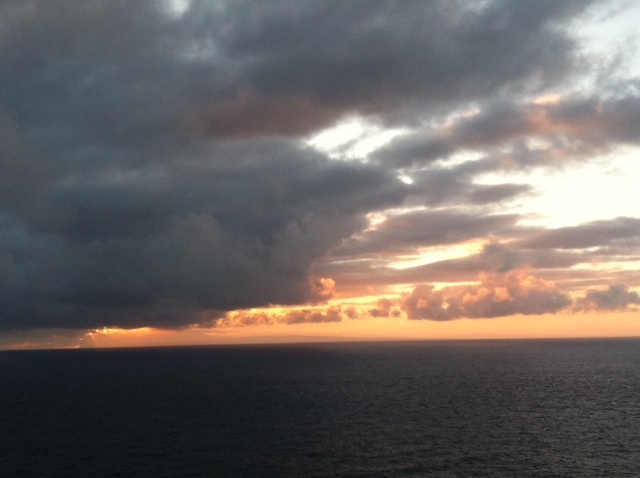 Yesterday we – Dana, Amy, Anne, and I – greeted sunrise with a hike up Makapu’u Trail. It was breathtaking both for its beauty and my high anxiety….I did make it to the top but it was with coaching from cousins Dana and Amy. Anne waited for us at a mid-way point. 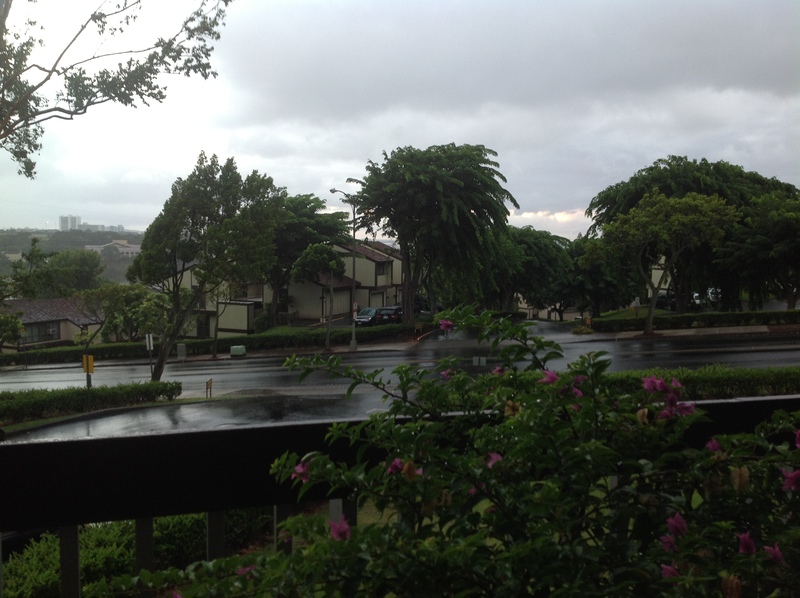 Oh…..I awoke to the lovely sound of the rain….almost a welcome relief to the heat. Just maybe those needles will start clicking today! If not today, tomorrow on the plane trip home! Looks like tomorrow….I see the blue sky moving in! We wrap our vacation up this evening with the traditional Lu’au. Carolyn, John and I are just across the way on the Big Island right now — see, we are waving to you!